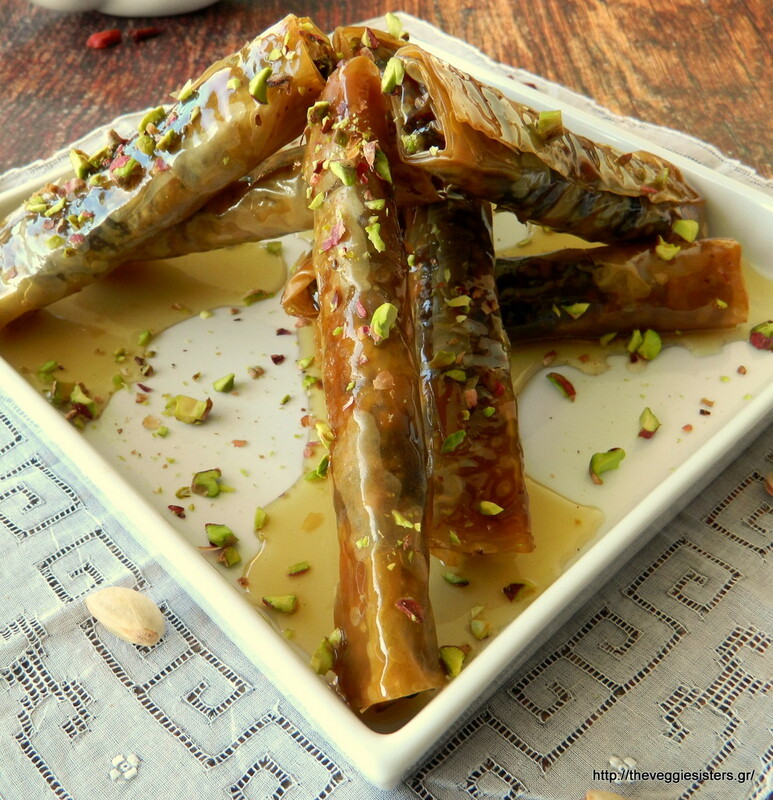 Baklava is a very popular dessert here in Greece. 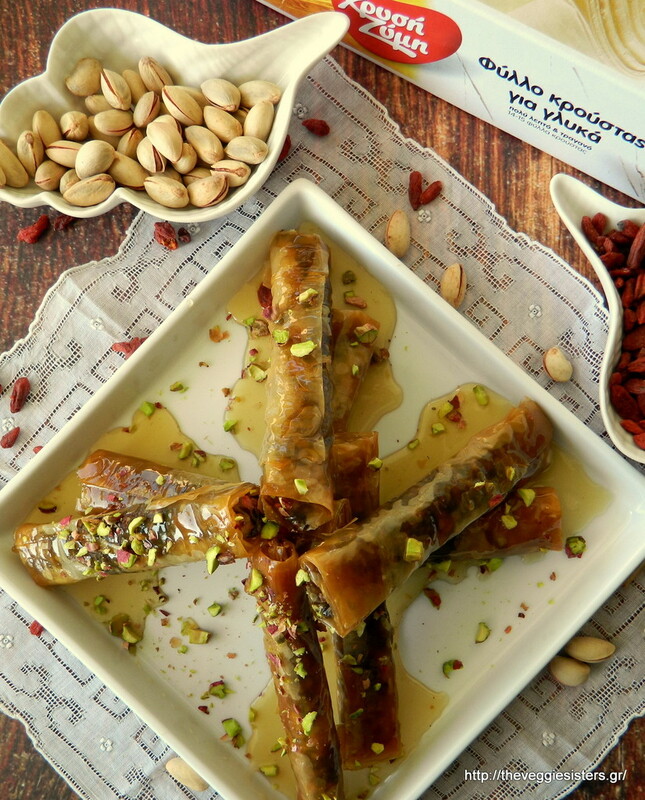 It is made of layers of filo filled with chopped nuts and sweetened with honey. I tried to make a healthy version of this yummy sweet treat: I used no sugar or butter and I filled the rolls with superfoods. They turned out great and we enjoyed them a lot. They are crunchy, aromatic, rich and scrumptious. I am surre that you will love them! In a blender pulse walnuts, pistachios, hazelnuts and goji berries until coarsely chopped! Place these ingredients in a bowl. In a blender pulse dates, raisins and cranberries until chopped. Add them in the bowl along with chia seeds, cinnamon, clove powder and stir to combine. Set aside. Unroll a filo sheet and cut into 4 even squares. At the edge of each piece put a 3 tsp of the nut mixture leaving a small gap from both sides. Wrap both sides inwards and roll it up. Put the edges inside and roll it up again. Place baklave rolls on a baking sheet lined with parchment paper. Brush them with sesame oil and bake in preheated oven at 180 C for 15 minutes. Place the rolls on another baking sheet and allow to cool. On medium heat cook honey with water. 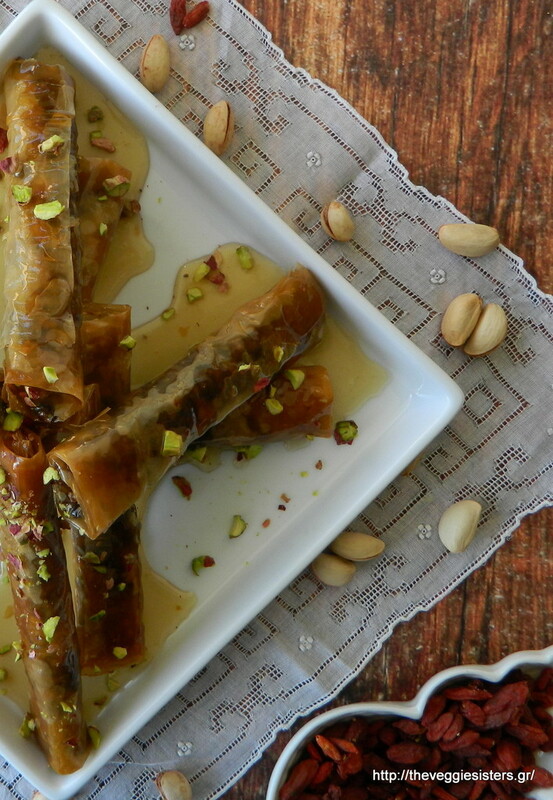 When combined and you have a nice syrup pour it over cool baklava rolls. Let coll for several hours before serving. Enjoy! 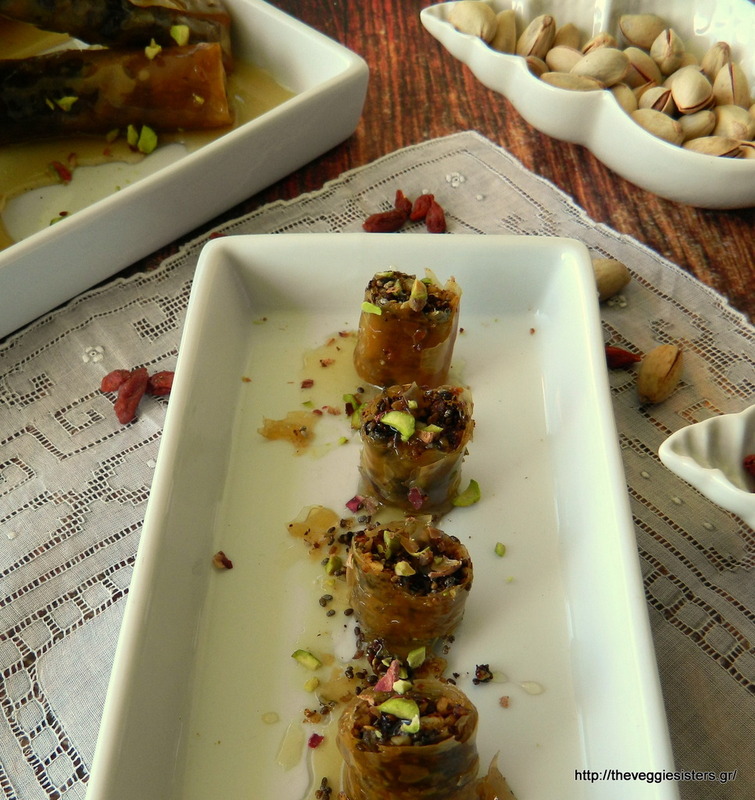 Share the post "Superfood baklava rolls"
Next PostΈνα νόστιμο βιβλίο, δώρο για εσάς!